Last June, Calgary experienced the worst flood in its history. The Calgary Zoo, located on St. George’s Island in the Bow River, suffered major damage. Owing to the dedication of the Zoo’s vets, volunteers and staff, the animals were protected. At one point, there was talk of moving the big cats to the jails in the Court House but that contingency plan didn’t need to be carried out. After the floodwaters receded, the grounds needed a lot of recovery work. Much of that recovery is still happening and it will take years to fully restore the buildings. But on November 28 of this year, the Zoo reopened completely. 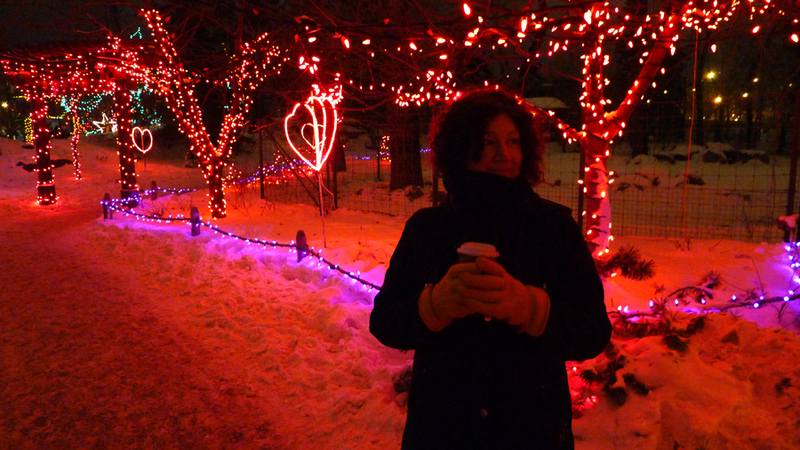 And the next day, ZooLights opened up for another season of winter wonderland. This year, I visited ZooLights with my husband, my son and his fiancée. One and a half million sparkly lights decorated buildings, twisted around trees and outlined various animal shapes. Volunteers attended to fire pits. Hot chocolate was served. Calgary has a lot of snow this year, and cold temperatures. Bundled in warm coats, thick mitts, cozy scarves and boots, we strolled the grounds for a couple hours and took in the magic. 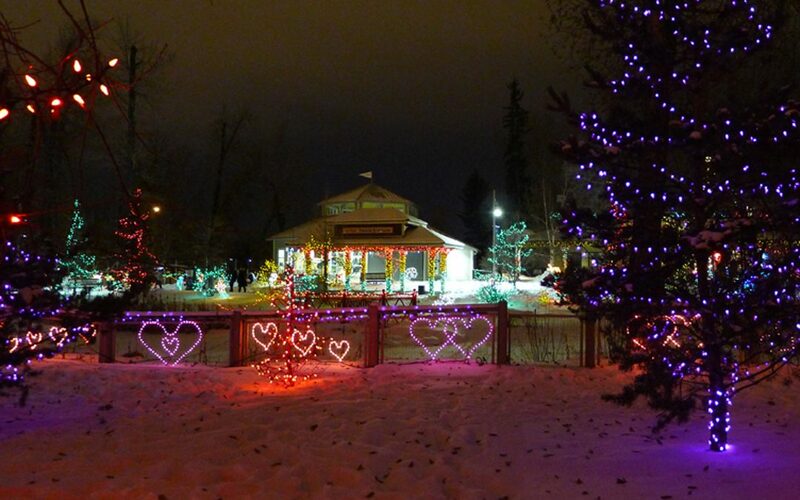 Does your city have ZooLights? Do you like drinking hot chocolate by an outdoor fire? It’s Christmas Eve. I wish you and yours a very Merry Christmas!